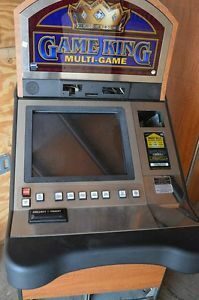 I am clearing inventory and am selling an IGT Video Poker. It is a Big Bertha. 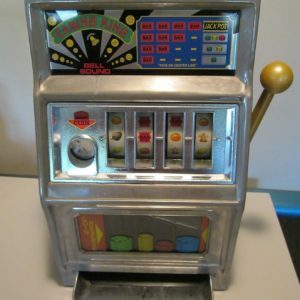 It takes dollar tokens and pays them out. 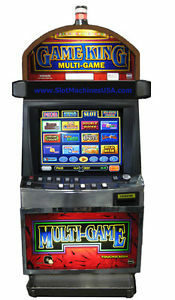 The machine is a PE Poker so it is easy to repair and even easier to maintain. The monitor is new so it should be good for years. 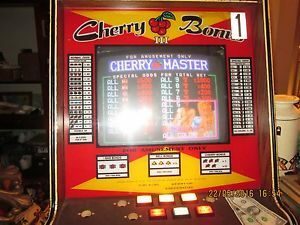 Yes there is a picture of a normal size machine in one of the pictures next to the Big Bertha not a toy. As you can tell by the pictures it is clean and it works great. Yes you will need the right size place for this one but there and few if any around. I will include tokens for play. I will not ship of move the item. It is listed as pick up and the is what I have to stay with. It is very heavy and at ground level. 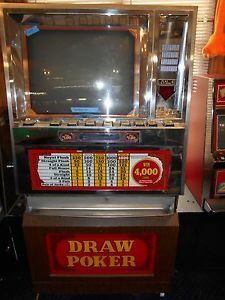 The machine is functioning great but I am still listing the item “AS IS”. The item must be picked up in Long Grove, IL. The approximant dimensions are 35″ Wide, 31″ Wide and 66″ In height. As I said it is heavy. No idea the weight so please don’t ask. I am listing the item on other sites and reserve the right to remove the listing at any time if there are no offers. So if it is something you might want please act.